Save Big on Victor Allen Coffee K-cups Today! This post contains affiliate links that at no extra cost to you give a small commission when you purchase from them. Check our full disclosure for details. 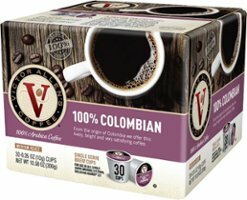 Today only at Best Buy, you can get Victor Allen Coffee K-Cups for as low as $.23 per serving. 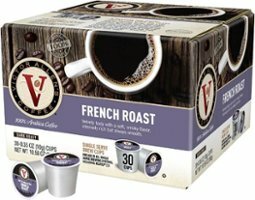 The Victor Allen French Roast 30ct K-cup pack is priced at $6.99 today. Making it just $.23 per k-cup. Maybe a medium roast is what you need, no worries. The Victor Allen Columbian Coffee 30ct k-cup is priced at $7.99 today only. Making it just $.27 per k-cup. Choose in store pickup to save on shipping. Otherwise shipping is $5.99. Take the time and pick it up for the price! Indycouponmama uses affiliate links that at no extra cost to you give a small commission when you shop and purchase from them.